Sponsor a Child, Change a Life. Children supporting, encouraging and caring for each other is at the core of our educational program. Speech, language and occupational therapies tailored to the needs of students with disabilities. One-on one instruction augments traditional classroom instruction to address individual needs of our students. 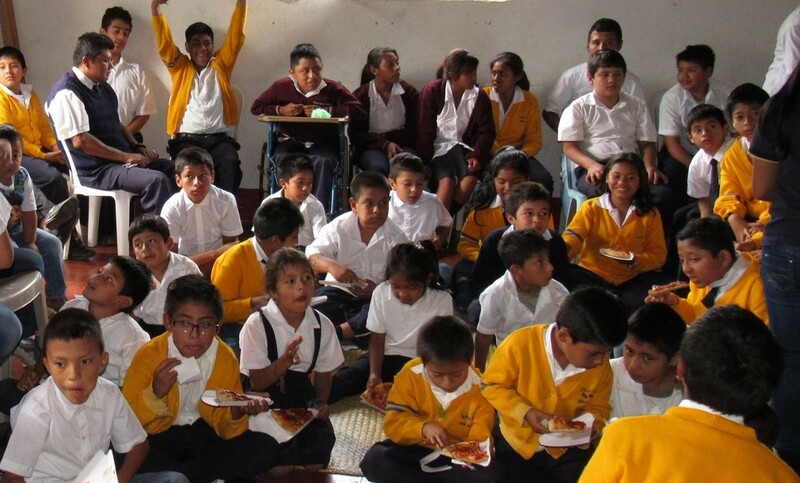 Sponsorship is the lifeblood of Brillo de Sol's program. Sponsors give our children a chance to live happy, productive lives. In addition to our valuable staff, volunteers are an integral part of our program. They make what we do possible. The success of our students and our program wouldn't be possible without the continued support of our friends and sponsors. 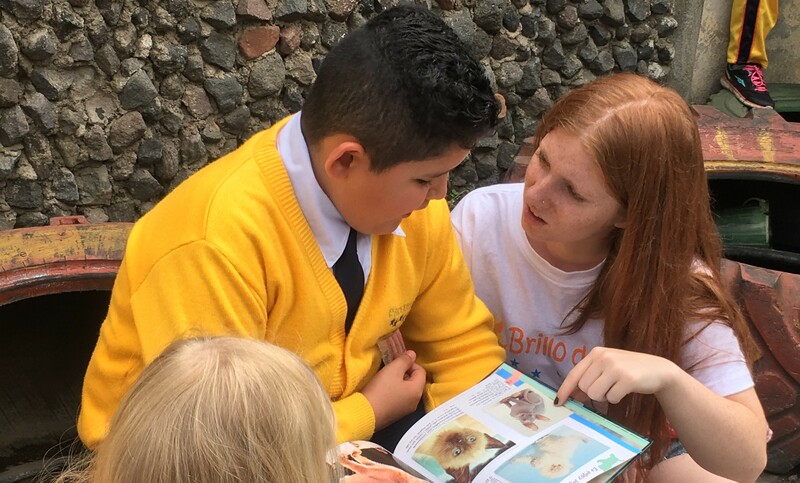 We teach basic functional and grade level literacy and mathematic skills, following the curriculum that is prescribed by the Guatemalan Department of Education. Additionally, we instruct our children to use critical thinking skills, and provide education in civics, science and art. 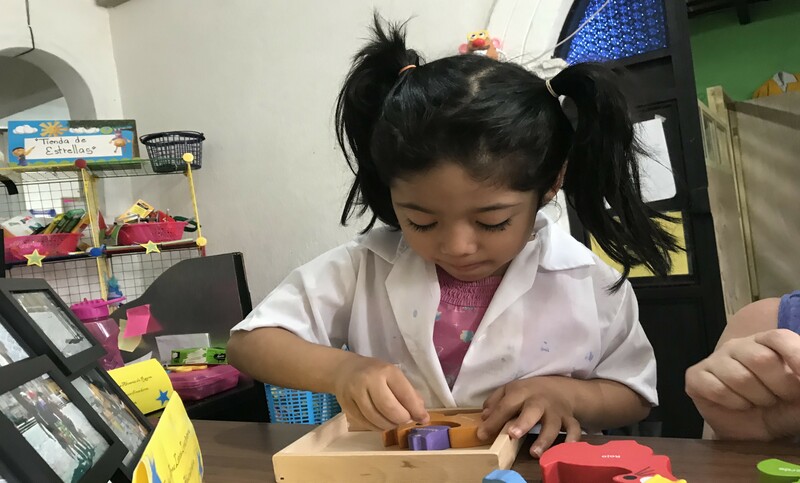 Inclusive education, combined with individualized instruction, speech language therapy, and occupational and physical therapies when available, as well as counseling and psychosocial support, prepares our children to become active members in their communities. Unconditional love, mutual support, honestly expressing feelings, sharing, and caring. We teach lifelong values that build self-confidence and self-esteem and a deep bond of love and trust between students, teachers and staff. We provide opportunities for students to learn cooking, gardening, carpentry and other skills that allow students to be productive members of their families and help open doors to a trade or career. Click on a picture to sponsor. Want to know what's happening at Brillo de Sol?